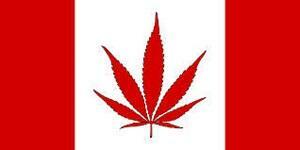 Canada says it will legalize marijuana by July 1, 2018 (or does it? ); Chris Christie will be named White House "drug commissioner," Illinoisans are ready to legalize weed, and more. Canada says it will legalize marijuana by July 1, 2018; Chris Christie will be named White House "drug commissioner," Illinoisans are ready to legalize weed, and more. Illinois Poll Has Strong Support for Marijuana Legalization . A new Paul Simon Public Policy Institute poll has support for marijuana legalization at 66% if it is taxed and regulated like alcohol. The poll comes days after legislators filed a marijuana legalization bill, House Bill 2353 . Michigan Legalizers Release 2018 Initiative Draft . Backed by the Marijuana Policy Project, the Michigan Coalition to Regulate Marijuana Like Alcohol has released the latest draft  of the cannabis legalization initiative the group hopes to put to voters in November 2018. Under the draft, adults would be able to possess up to 2.5 ounces of pot and grow up to 12 plants, and marijuana commerce would be taxed and regulated. An initiative campaign last year came up just short in signature gathering. Nevada Bill Would Allow Medical Marijuana Dispensaries to Sell Recreational Weed . State Sen. Tick Segerblom (D-Las Vegas) and Assemblyman Steve Yeager (D-Las Vegas) rolled out Senate Bill 302  last Friday. The bill would allow for an early start to recreational marijuana sales by allowing existing dispensaries to sell to non-patients before the January 1, 2018 deadline set in last fall's voter-approved ballot initiative. The move is aimed at stamping out the black market and allowing the state to get tax revenues. A similar move is afoot at the state Department of Taxation. Maryland Democrats File Pair of Heroin Bills . Some three dozen Democratic General Assembly members gathered last Friday to announce a pair of bills aimed at fighting rising heroin overdoses in the state. Senate Bill 1060 , the Start Talking Maryland Act, would require drug education programs to address the high lethality of fentanyl and colleges that teach medical providers to include addiction treatment education. Senate Bill 967 , the Heroin and Opiate Prevention Effort (HOPE) and Treatment Act, would require the Department of Health and Mental Hygiene to establish 10 heroin crisis centers around the state, as well as easing access to buprenorphine and naloxone. Idaho Legislature Gives Final Approval to Asset Forfeiture Reform Bill . The House last Friday gave final approval to House Bill 172 , which would limit civil asset forfeiture to cases involving drug trafficking -- not simple possession -- and would clarify that simply being in possession of large amounts of cash is not evidence drug trafficking. The House had approved the bill earlier, but had to have a final concurrence vote after amendments were added in the Senate. The bill now goes to the governor's desk. New Mexico Bill That Would Have Directed Seized Funds to Cops Dies . A bill that would have diverted seized assets from the state general fund and given them to law enforcement agencies handling the cases has died in the House, and the cops are unhappy. Senate Bill 202  had passed the Senate unanimously, but couldn't get out of the House Judiciary Committee. "I'm utterly disgusted," said Pecos Valley Drug Task Force Commander James McCormick. "That's just takes away another avenue we have to thwart drug dealing. The money we used to get, we don't have any more." Jared Kushner's White House "SWAT Team" Will Include Chris Christie as Drug Commission Chair . The White House "SWAT team" to be led by presidential son-in-law Jared Kushner and aimed at streamlining policy-making will include an official drug commission to be chaired by New Jersey Gov. Chris Christie (R). The commission will emphasis combating opioid abuse, a favorite theme for Trump. New Hampshire Senate Approves Funding More Troopers to Fight Cross-Border Drugs . The state Senate voted overwhelmingly last Thursday to spend nearly $4.5 million over the next two years to hire five new state troopers to wage war on the state's opioid epidemic by targeting traffic from Massachusetts, expand the "Granite Hammer" program counts to local law enforcement, and pay for overtime for specialized enforcement units such as the State Police and Narcotics Investigation Unit. The measure, Senate Bill 131 , is now headed for the House, where it is expected to pass. NYPD Cop Who Killed Ramarley Graham Quits . Graham, 18, was shot and killed in 2012 by Officer Richard Haste after he fled into his own apartment bathroom and was trying to flush a small amount of marijuana down a toilet. Haste avoided criminal charges for the killing, but a departmental trial found him guilty of violating department policies and he was facing firing when he decided to turn in his badge and gun.